The British Automobile Racing Club (BARC) has welcomed the news that former double champions Fabrizio Giovanardi and Alain Menu are to return to the Dunlop MSA British Touring Car Championship in 2014, forecasting a 'blockbuster' season ahead. 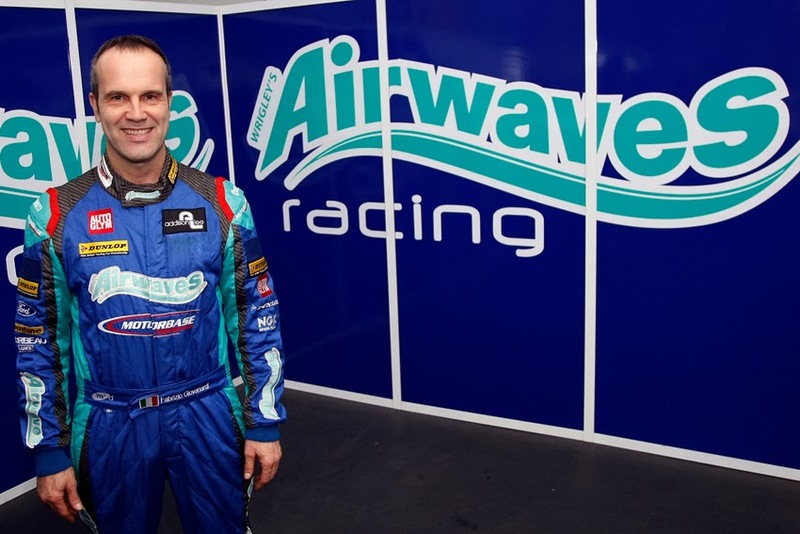 Menu's deal to race for Team BMR this year, it was confirmed that fellow erstwhile BTCC title-winner Giovanardi is also set to rejoin the fray in the toughest touring car series on the planet, after inking an agreement with Airwaves Racing. Menu already has 36 BTCC triumphs to his name from his initial stint in the series between 1992 and 2000 - three of them at Thruxton, and two at Croft. The Swiss tin-top master admits that of all the venues on the calendar, it is Thruxton's ultra-high-speed layout that he is looking forward to rediscovering the most. Indeed, he last raced in the championship there in a one-off outing for VX Racing in the 2007 season finale - to support the title bid of a certain Fabrizio Giovanardi. The Italian boasts 24 BTCC victories on his career CV, as well as the 2007 and 2008 drivers' crowns, ascending the top step of the podium at Thruxton on no fewer than seven occasions and three times at Croft. The 47-year-old's last appearance in the series similarly came at Thruxton, in 2010, and 'Gio' made sure to sign off in style with a double success around the fastest circuit in the country. Both he and Menu will be back in action at Thruxton and Croft this year, and BARC Business Manager Ian Watson admits the club is thrilled that its headlining championship is revving up for what could well be the most exciting and fiercely-contested campaign in its 56-year history. "The BTCC is the jewel in the BARC's crown, and over the years, it has provided some real edge-of-the-seat, breathtaking entertainment," said Watson. "This year, there will be at least six champions on the starting grid, and with a field that looks set to be filled to capacity again, fans are in for a blockbuster season. "We are delighted that BARC circuits play host to two of the ten rounds on the schedule, and both Thruxton and Croft invariably generate superb wheel-to-wheel, doorhandle-to-doorhandle racing. We are very much looking forward to seeing Alain and Fabrizio getting stuck in once more – and who knows, perhaps back on the top step of the podium, too." BTCC competitors will feature in the Thruxton test on February 18, 2014, with the championship's 2014 campaign set to kick-off at Brands Hatch on March 29-30, 2014.